Chelsea v Tottenham – Chelsea have never been beaten three-times in a season by Tottenham. Tonight, Chelsea take on Tottenham in the Carabao Cup Semi-Final second leg a goal down from the first leg. Chelsea have never been beaten three-times in a season by Tottenham and there is a very realistic chance it could happen with the way we are playing. We are looking for a reaction after a disappointing result and performance last weekend against Arsenal which, as we all know, led to an astonishing outburst from the manager who criticised their motivation after the game. It will be interesting to see if there is a positive reaction from the players including Eden Hazard who was also the subject of criticism from Maurizio Sarri in his pre-match press conference yesterday. 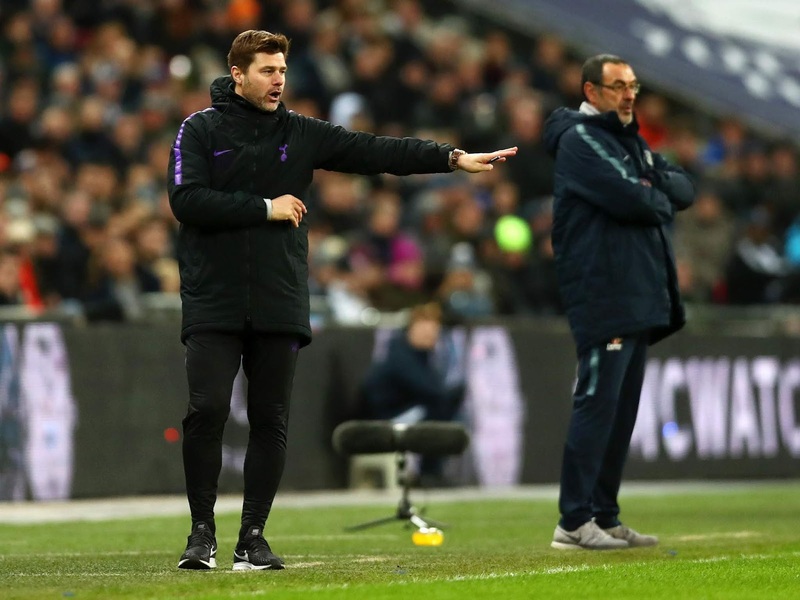 On paper, with the players unavailable tonight, Chelsea should be more than able to deal with their attacking threat without Harry Kane and Dele Alli. Fernando Llorente is someone I expect Toni Rudiger to be able to cope with, Lucas Moura is not fit leaving the likes of Erik Lamela and Christian Eriksen as their main-men. Both we need to keep an eye on because as we all know Eriksen has caused us plenty of problems in recent seasons. Having watched Chelsea week-in, week-out, it’s clear that tonight we need to start with Olivier Giroud up front and Eden Hazard out wide left. We simply cannot play with Hazard as the false-nine tonight because it will play right into their hands making our attacking threat easier to deal with. He cannot play there and doesn’t like playing there for god sake. Hazard needs to play off the focal point up top to be at his most affective. Let’s hope, pray and cross whatever it takes for that to happen. Ideally, we score an early goal which then forces Tottenham to go one way or the other. They either come out at us and attack or look to sit back and dig in to protect their first leg advantage. Chelsea must be more direct tonight, play with a higher tempo and look to expose their full-backs in behind who always look to get forward. If we can dominate the ball, dictate the game and keep them both in their own half, we have a chance. We face Sheffield Wednesday next on Sunday in the FA Cup and no disrespect to them, we need to play our strongest possible team including Olivier Giroud to go all out for the win and get to another final. Chelsea have never lost three times in a single season to Tottenham. Let’s hope that fact remains tomorrow morning!